Using LEGO® bricks, artist Warren Elsmore creates stunning scenes with easy-to-follow instructions. Designed with only standard LEGO pieces, Warren's talent lies in choosing exactly the right parts to enable the reader to recreate these icons of history in their own home. While many of the original seven ancient wonders have crumbled away, here we see them in their full glory. The seven ancient wonders of the world, including the Lighthouse at Alexandria and the Hanging Gardens of Babylon, are depicted as they might have been, to amazing effect. And, from the modern world there are seven still-standing wonders, including the Great Wall of China and Petra. Seven modern inventions, among them electricity and transport, are represented in LEGO creations both small and vast - a Model T car, television, the light bulb and the International Space Station. There are seven natural wonders, too, presented in their majestic beauty, including Victoria Falls, the Great Barrier Reef and the Matterhorn. 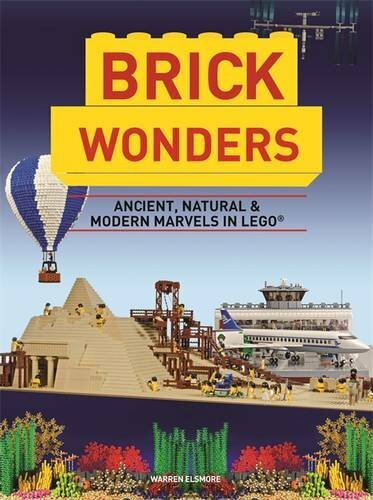 Whether you are an adult fan of LEGO (an 'AFOL'), or are just fascinated by the use of LEGO as a modelling medium, this book will take you on a unique journey through history and around the globe.